Alan Stephenson Boyd (born July 20, 1922) is an American attorney and transportation executive who led several large corporations and also served the U.S. Government in various transportation-related positions. 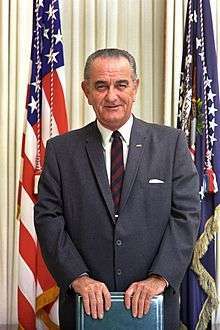 He was the first United States Secretary of Transportation, appointed by Lyndon Johnson. Additionally, he served in executive positions with the Civil Aeronautics Board, the U.S. Department of Commerce, and was a president of Amtrak. Boyd was born on July 20, 1922, in Jacksonville, Florida, to Clarence Boyd and Elizabeth Stephenson Boyd, granddaughter of John Stephenson. He graduated from high school in 1939, and graduated from the University of Florida in 1941. 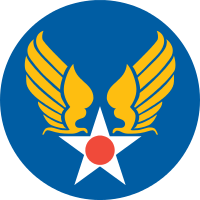 He joined the United States Army Air Forces in 1942 and remained there through the end of the war. Boyd married, the former Flavil Juanita Townsend on April 3, 1943. They had one son, Mark Boyd. He had two grandchildren, Heather and Alan Boyd. After leaving the service in 1945, Boyd returned to college and received his Juris Doctorate from the University of Virginia School of Law in 1948. Boyd practiced law in Florida, and was on a commission exploring the regulation of the transportation industry. In 1959, Boyd was appointed to the Civil Aeronautics Board by US President Dwight Eisenhower. He was promoted to chairman of that board by US President John F. Kennedy. He helped the airline industry by standardizing fare reductions and by approving government subsidies to encourage airline service for smaller cities. He was appointed undersecretary of commerce for transportation in 1965 by Lyndon Johnson. He was unpopular with labor leaders when he advocated reducing government restrictions on the maritime industry, and when he denounced featherbedding by railroad workers. Boyd was part of a committee that lobbied for the creation of the United States Department of Transportation, bringing together many government agencies related to the transportation industry. 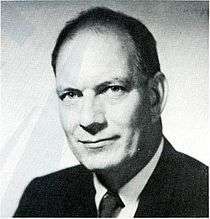 Boyd became the first Secretary of Transportation in November 1966. In that capacity he worked in many areas including airports, the air traffic control system, automobile safety, driver education, alcoholism, and the highway beautification program (a pet project of first lady Lady Bird Johnson). One of his sources of power was holding funding control over the interstate highways. He was unsuccessful in trying to encourage passenger train service. When Richard Nixon became as the United States President in January 1969, Boyd left the Transportation Department to become the president of the Illinois Central Railroad, a position he held from 1969 to 1972. The federal government investigated the potential conflict of interest because that railroad had received aid from Boyd's department before he resigned, but no wrongdoing was found. Boyd was later the president of Amtrak until June 20, 1982, and the president of Airbus Industrie. In 1979 he became the chairman of Warner Blue & Mahan, a Washington, D.C. based consulting firm working on new technology ventures. Boyd retired to Florida and later moved to Edmonds, Washington. In 1994, Boyd received the Tony Jannus Award for his contributions to commercial aviation. He also received the 2009 Philip J. Klass Award for Lifetime Achievement from Aviation Week & Space Technology. The citation read: " . . for his lifelong service to aviation, including shaping policy in the U.S."
Since the death of Nicholas Katzenbach in May 2012, Boyd has been the earliest surviving former U.S. Cabinet member. In August 2016, Boyd published an autobiography, A Great Honor: My Life Shaping 20th Century Transportation. ↑ Stover, John F. "The Management of the Illinois Central Railroad in the 20th Century" (PDF). Retrieved 2006-02-09. ↑ "Ax for Amtrak". Time. 1979-03-19. Retrieved 2007-08-16. ↑ "Today in Florida History for January". Archived from the original on 22 July 2007. Retrieved 2007-08-16.